A laboratory model of a multi-tube solar reactor at the University of Colorado Boulder that can be used to split water in order to produce clean hydrogen fuel (Credits: University of Colorado Boulder). Researchers from the University of Colorado have designed a novel water splitting solar-thermal system to produce hydrogen fuel. This research is being funded by the National Science Foundation and by the U.S. Department of Energy and it will lay the foundations for the use of hydrogen as a green fuel. The simplified reaction sequence may also provide new opportunities to produce hydrogen fuel in space. The system uses an array of mirrors to concentrate sunlight onto single point on a huge tower. This generates temperatures as high as 1,350 Celsius, which is then transferred to a reactor containing metal oxides. Due to the high temperature, the metal oxides release oxygen, forming a new compound which seeks out oxygen atoms. When steam is introduced to this compound, the oxygen from the steam adheres to the surface of the metal oxide, and freeing up the hydrogen from steam. 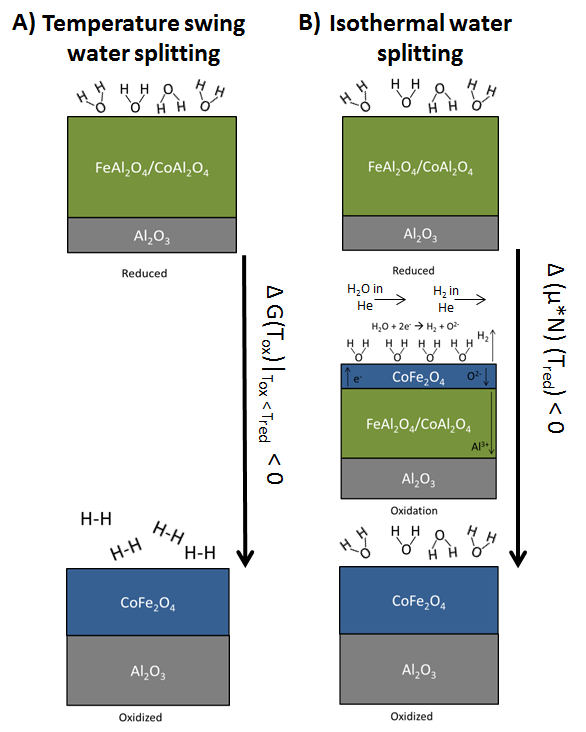 A schematic illustrating the thermodynamic concept of the isothermal solar water splitting approach (Credits: Muhich et al 2013). The challenge is to heat the metal oxides to the lowest possible temperature that enables the desired chemical reactions so that excess heat doesn’t cause any damage to the reactor or tower. The amount of hydrogen which can be produced depends on the amount of metal oxides and steam. Weimer’s team has proposed a design with reactor tubes roughly 30 cm in diameter and a meter long, filled with metal oxides, stacked on each other. The hurdles for use in space may be lower, but not any quicker. While hydrogen fuel cells have been used in space vehicles like NASA’s retired Space Shuttle for years, on-orbit production of this variety may not be worthwhile until there is a space-based population who requires it. 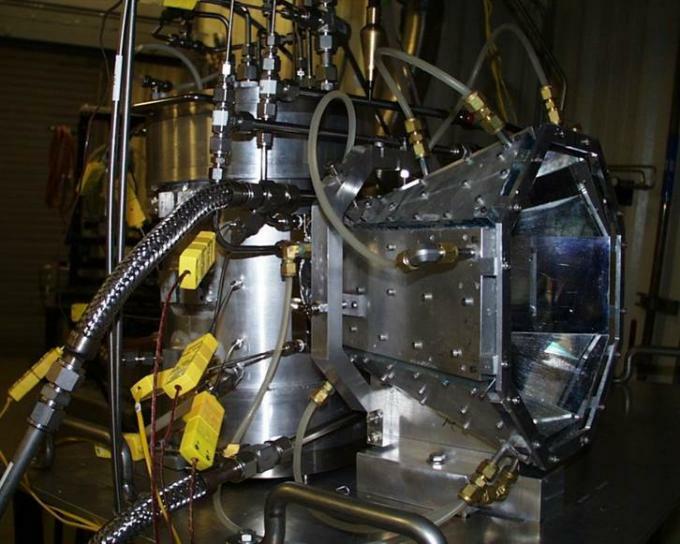 Image caption: An artist’s conception of a commercial hydrogen production plant that uses sunlight to split water in order to produce clean hydrogen fuel (Credits: University of Colorado Boulder). Without natural gas or other carbon based fuels on the moon (or Mars) this may be a way of generating oxygen and hydrogen for fuel at the poles of the moon and Mars.